Promote Muscle Growth Through Cellular Hydration! Yes! We are finally carrying a bulk Creatine product! I know you are excited! We are too! Creatine is a product we felt we had to bring to our line. It is the most effective, most researched ergogenic aid in the world. Creatine has been shown to be effective at increasing lean muscle mass, muscle strength, and muscle performance. Creatine is naturally occurring in meat and can be found in other food sources as well. Tips for improving your results from Creatine monohydrate! Dose for your body weight. Studies suggest you should dose 0.03 grams per kilogram of body weight. For a 200 pound individual, this equates to 3 grams per day. Loading is not necessary, but is an option. Stay properly hydrated. Stack with AI Sports Nutrition Beta Alanine for a great combination! This is no ordinary shaker! With its distinctive Grenade® branding and patented design, it makes a statement! 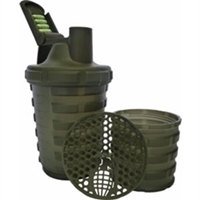 The Grenade Shaker has a removable storage compartment for powders, which can hold approximately 3 full servings of your favorite protein, with a convenient capsule storage section in the cap. 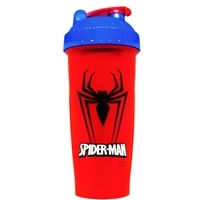 Patented agitator delivers more mixing power than any other shaker! Carnitine Core assists in transporting long-chain fatty acids into the mitochondria (the cells’ “power plant”) to make this process more effective. This amplies an athlete’s ability to metabolize fat into muscular energy. While the body produces carnitine naturally, many athletes supplement their intake. Raspberry ketones act as a natural energy booster for anybody on a low-calorie diet. Cranberry (Vaccinium Macrocarpon) Fruit Extract, Uva Ursi (Actostaphylos Uva-Ursi) Leaf Powder, Dandelion (Taraxacum Officinale) Root Extract, Juniper Berry (Juniperus Communis) Extract, Burdock (Arctium Lappa) Root Powder, Buchu (Agathosma Betuline) Leaf Extract, Terminalia arjuna (Bark) Extract, Cornsilk (Zea Mays) Powder 420 mg † *Percent Daily Values are based on a 2,000 calorie diet. Take one serving (2 capsules) with 16 oz. of water twice-a-day-once in the morning and once in the afternoon. Drink at least 6 to 8 glasses of water daily. Do not exceed recommended dosage. Carnitine is not a stimulant and can easily be combined with other diet products. To optimize results LIPO-6 CARNITINE provides L-Carnitine in fast-absorbing liquid capsules. Gaspari Nutrition has developed one of the most pure forms of L-Glutamine available. It’s pure, micronised and pharmaceutical grade which just proves its quality! In the last two decades L-Glutamine has become an integral product in virtually any and every bodybuilder's arsenal to insure proper immune function, possibly reducing skeletal muscle recovery time from heavy exercise and increasing endurance. Over 130 scientific studies have been conducted at universities and independent testing sites around the world clearly testifying to the safety and usefulness of this ingredient. Both The American College of Sports Medicine (ACSM) and The Journal of The International Society of Sports Nutrition (JISSN) have sponsored presentations and published scholarly research regarding the use of L-Glutamine. Athletes as well as many university professors, sports medicine physicians and sports trainers agree that L-Glutamine is a critically important and useful amino acid and is needed insure optimal health and a functional immune system. As a dietary food supplement, mix one serving of 5 grams (one level teaspoon) into at least 16 ounces (500 ml) of water or other suitable liquid and drink within 15 minutes. Consume 1-2 serving per day. For best results, use this product as part of a proper diet and exercise program. Do not exceed recommended daily dose of 5 grams per day (one single dose). Food supplements should not be used as a substitute for a health and varied diet. Do not consume Glutamine powder without first mixing into at least 16 ounces (500 ml) of water or suitable fluid. Drink plenty of water or other suitable liquid while using this product. Keep out of reach of children. Consult with a physician or your qualified health care provider before using this product or any other dietary supplement. Not for use in individuals under 18 years of age or in women who may be pregnant or who are nursing. Store this product in a cool, dry place away from direct sunlight. Keep bottle tightly closed. Other Ingredients: None on label. Men's multi-vitamin + testosterone support. Supports healthy immune function. Complete nutrient support for athletes. Men's complete multi. Men's Multi +Test is a complete vitamin, mineral and energy multivitamin with added men's testosterone support ingredient Tribulus Terristis. Men's Multi offers athletes complete support for nutrient deficiencies they may need with an added virility and testosterone boost. Ingredients: Dicalcium Phosphate, Microcrystalline Cellulose, Stearic Acid, Croscarmellose Sodium, Magnesium Stearate, Silicon Dioxide, Pharmaceutical Glaze (Shellac, Povidone).